More impressive than the physical projection left on his 6-foot-5, 190-pound frame, Gatewood is already showing big time power, and the long term power projection is off the charts. 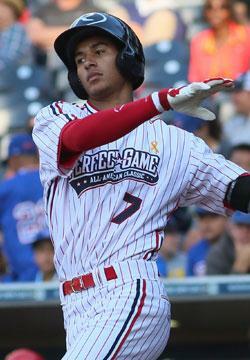 Gatewood moves very well for his size and has very good infield actions for a big man. While very few players his size manage to stick at shortstop, Gatewood projects to hit for enough power to be an asset at any position. He could hear his name called early next June in the draft.